This job had its moments. It all came together though. I'll know for sure later when I look for leaks. Parts going together. I used some teflon tape on some parts and rtv on others. Installing the fittings requires retapping the sensor port hole. I think it's just to clean the threads in preparation for the brass fitting. 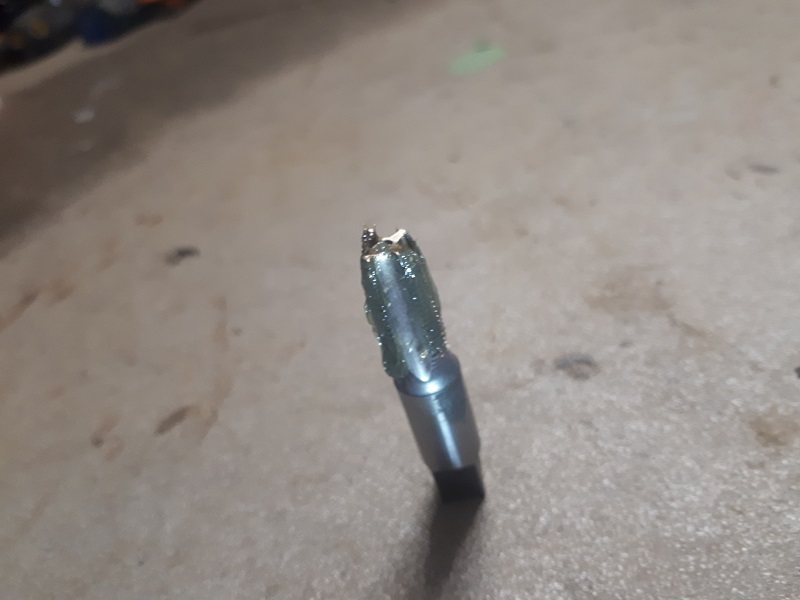 I used a well greased 1/8" NPT tap, but still managed to create some filings. This worried me as it's a direct shot from there - passing through no filtering, I think, to the turbo. Although the grease retained most of the filings, there were some in the block. So, I diligently flushed it many times with brake cleaner and wiped out with a microfiber to towel, then rinsed again. There's no evidence of any filings, so I should be good. Line attached. I'm going to do a flow test soon. The engine will not start, but I'll look for evidence of oil coming from the turbo end of the supply line after I prime the turbo with oil. Hopefully, starter speed will provide enough pressure to flow oil up and through the line. After the test, I'll hook up the end to the turbo. Routing the supply line up to the turbo is going to be a bit of a challenge, involving good heat resistant zip ties. The supply line is very long, presumeably to allow keeping it far from hot parts such as the manifold and turbo compressor. Last edited by 06YarisRS; 04-19-2019 at 03:31 PM. Didn't get much done due to being away visiting family. A couple things project-related did happen though. I fixed an issue I had with the oil return line. It had a very, very slight uphill curve going into the oil pan. I reclocked the center section of the turbo, cut 1/2" off the pipe and reinstalled. The front of the car is higher on the jackstands than the back, so once the car is lowered, I should have a very good downhill run to the pan. 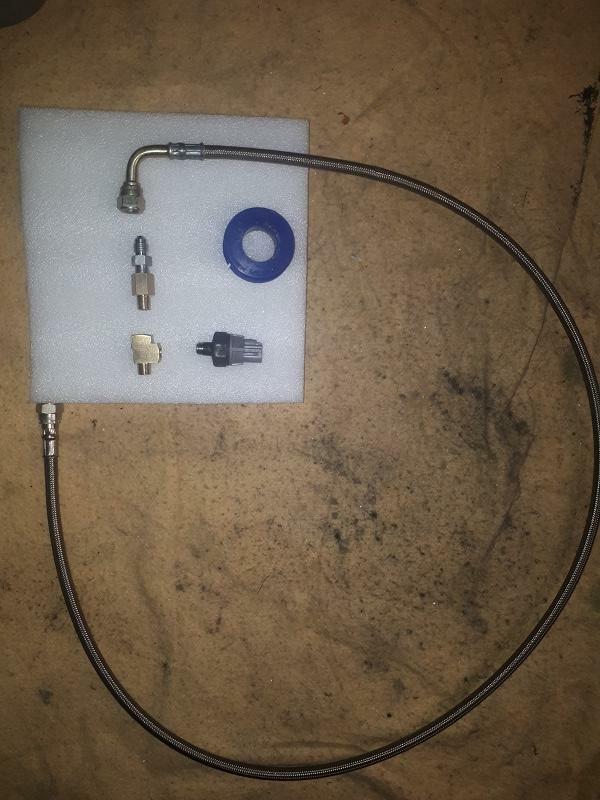 However, I'm going to temporarily replace the steel braided hose with clear braided hose of the precise length and test the oil drain with the car still nose-high. I imagine I'll be in boost on a few long hills from time to time. 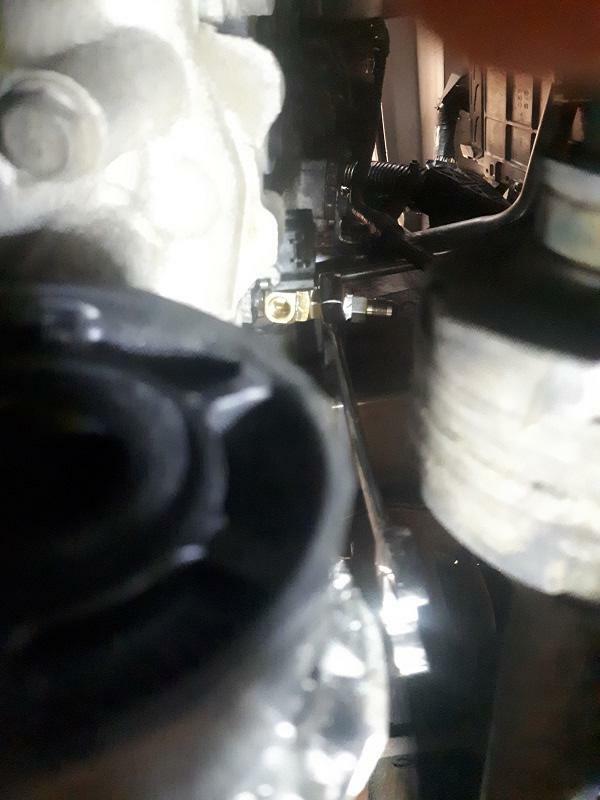 As a positive spinnoff of clocking the center section of the turbo, my coolant lines are now a wee bit father away from the downpipe. I have about 1.5" - 2" clearance. I'll wrap those in the aluminum tape that came with the kit. I should be fine heatwise as I've read online about people with lines closer to the downpipe who have had no issues. 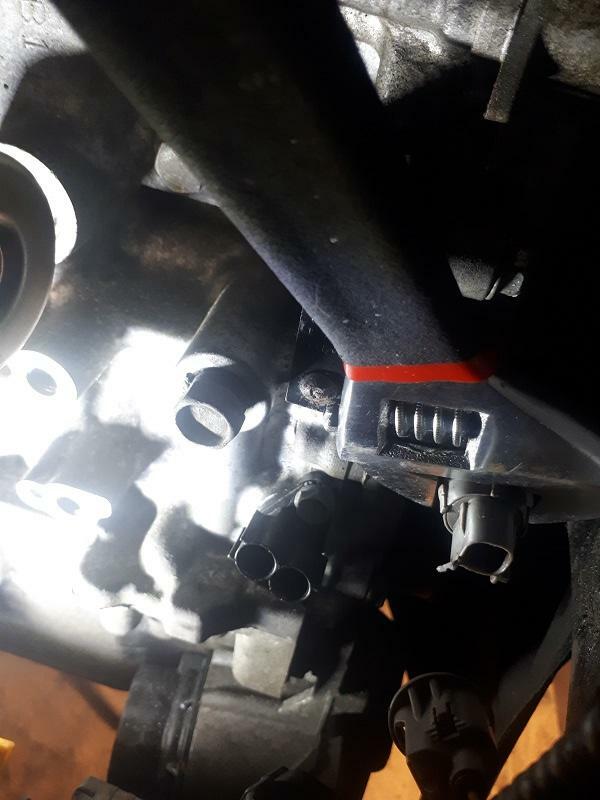 I also addressed the clearance issue between the first charge pipe and the subframe. This I did by shortening both legs of the coupler, allowing the aluminum pipe to go up farther into the engine bay. Although I've read the install manual myriad times, somehow I missed the trimming of the 45 coupler (RTFM, more carefully, silly boy, lol). I now have about 1/2" clearance where before I had slightly less than 1/4". Since I still haven't tightened up my dogbone mount, I rocked the engine back and forth and the piping doesn't contact the subframe. Yay! 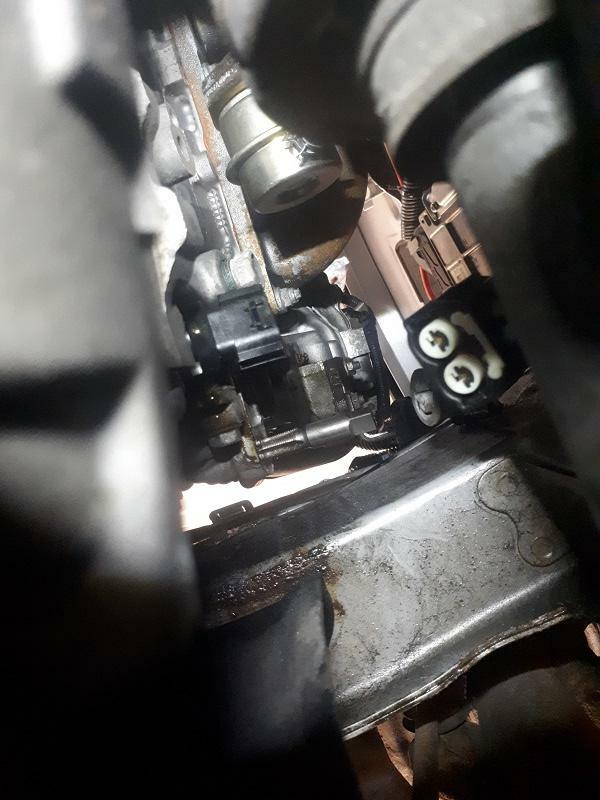 I had a few inches of turbo to wastegate hose left (after clocking the turbo way back when, I had to shorten this hose) and it worked perfectly as a contact pad between the charge pipe and engine casting rib. I degreased the rib and hose and glued it on with a bit of RTV. Worked great! I'm going to use a bunch of this around the car for all potential contact areas between the turbo piping and body/frame etc. In other news, most of the stuff for my custom intake has arrived to my US destination. I hope to start to work on that about mid week. I may get the urge to hook up the stock airbox and start the car, but I'll try to wait until my intake is finished. Lastly, I'm going to ask the turbokits guys if I can get a shorter oil feed line. The one with the kit is quite long. I need one less than 1/2 the length of what came with the kit. There's probably a lot more space in the Corolla to route that around than there is in the Yaris. Last edited by 06YarisRS; 04-22-2019 at 01:07 AM. Awesome news! Super stoked to see this happening! Yup, getting exciting. Looking forward to working on my intake this week. 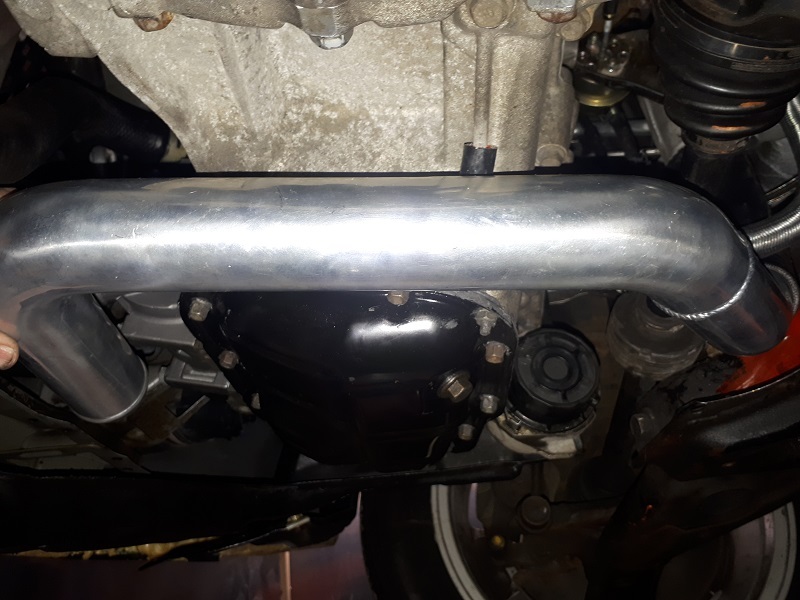 No pics tonight, but I completed some modifications to the heater hoses to provide more clearance for my rather large intake pipe setup. There are a bunch of old engines in our shop that the kids are dismantling and putting back together. 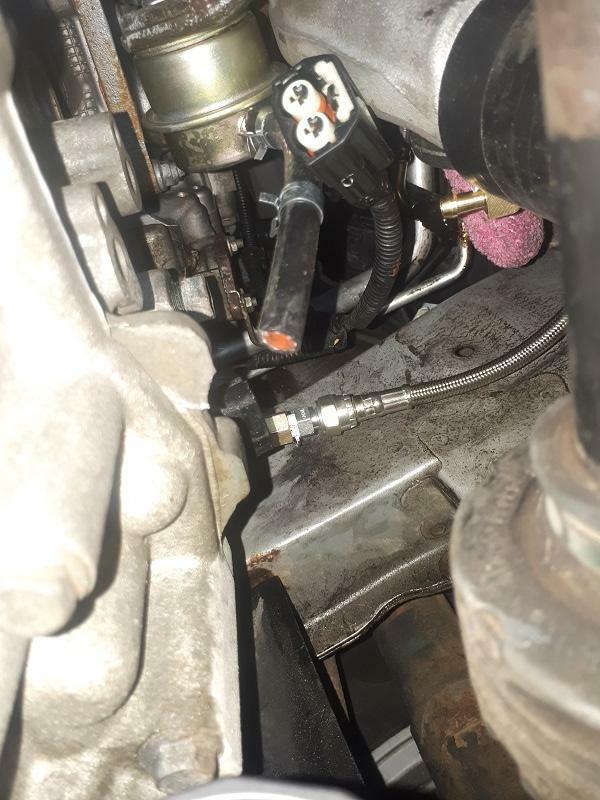 They will never be put in cars, so I scavenged a couple of 5/8" heather hoses with tight elbows, cut them up and replaced portions of my stock hoses. This gives me more room at the firewall to run my 3" piping. It also allowed me to gain more clearance as the coolant lines for the turbo loop under the down pipe. I have a bit more length to secure the hoses with either high heat zipties of metal zipties. Really hoping this weekend to top up with fluids and crank the car over without starting and observing the oil flow back to the pan via the temporary clear braided hose. If all looks well. I'll attach the oem airbox and run the car a bit. Should be nice and loud - painfully, I bet - with that massive 3" downpipe. After I determine that there are no leaks, or if there are, fix them, I'll set to work on the intercooler piping. Then will come the injectors and F/IC wiring.